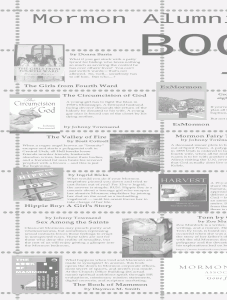 Sunstone and Mormon Alumni Association Books!! As you may know, the 2012 SLC Sunstone Preliminary Program is online — and I’d like you to especially feast your eyes on page 37!!! As you can see, I’m planning to test out a little cooperative book distribution network for the books I’ve discussed on this site. 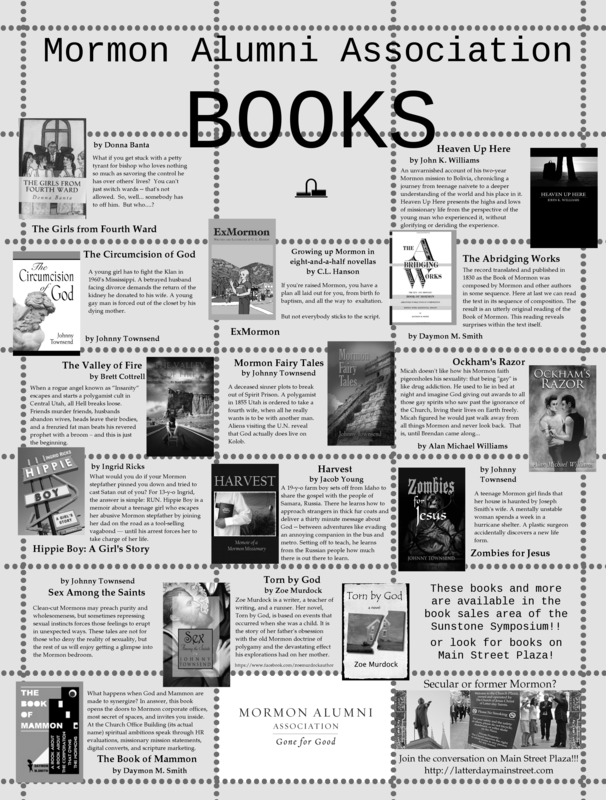 I’m also planning to add a book page (to replace the “reading” section of our sidebar) in order to highlight more LDS-interest books that deserve more attention than they’re getting. If you have written a book that you think should be on this ad — don’t worry! This is basically an initial experiment, and if it goes well, we’ll expand. Sunday in Outer Blogness: Gay parents edition!! !